At Jay Peak, the phrase "down to earth" means more than the friendly, casual attitude found in everyone from the greenskeeper to Director of Instruction, Doug Ruttle. It's actually about the earth. It's in the beautiful terrain, the natural waterways and the manicured greens. It's the Northern Vermont woods and the wildlife that watches from within. It's the little details and big ideas implemented by course designer Graham Cooke. At Jay Peak, your game is enhanced by all of this, whether you're a PGA pro or a first time hack. So come join us for a round and find out what it means to stay grounded while your game takes flight. The Jay Peak Championship Golf Course has been named #1 Public Course in Vermont for the 3rd straight year by Golfweek Magazine. Golf Digest agrees, this year by listing Jay Peak in their yearly national review. Please call 802-988-4653 for current rates. Call 802-988-4653 for rates and tee times. Contact Jay Peak Championship Golf Course at 802-988-4653 for more information and details on holding a golf outing at the course. Contact Jay Peak Championship Golf Course at 802-988-4653 for onsite or nearby dining options. 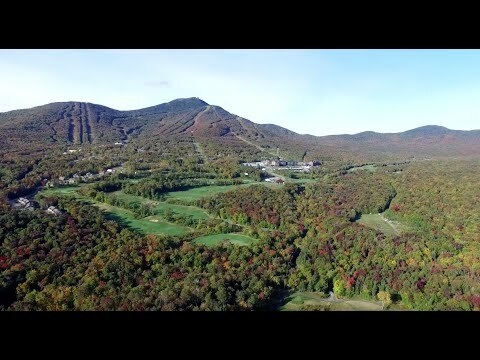 Watch the Jay Peak Mountain Golf Course Video. This profile was last updated on 06/09/2016 and has been viewed 6,536 times.